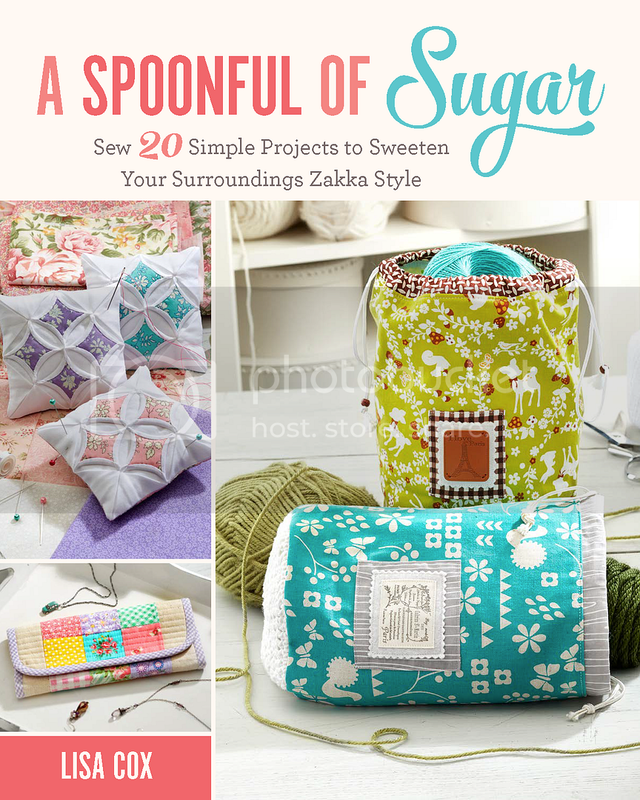 As lovers of Japanese style craft will know, Zakka means thoughtful items for everyday life. With a little bit of creativity, there is no reason why small everyday items can’t be both beautiful and functional. To make this Zakka style Face Washer, we lined a white terry towelling washer with some printed fabric (linen and cotton blend). The linen fabric has a nice texture and will be perfect for some gentle ex-foliation. For this project, pre washing the fabric and the face cloth is recommended. 1.Cut the tag off your face washer. Press the fabric. Fold the striped tape in half and position on the top left hand side, approximately 1 1/2 inches down form the corner. Baste in place. 2. Place the face washer face down on the linen with right sides facing. Stitch around the outside of the face washer using a scant seam allowance, and leaving a 4 inch gap in one side. Turn the face washer out the right way through the gap in the lining. Press. 3. Stitch around the outside of the face washer using a 1/8 inch seam allowance, and closing the gap in the lining. Stitch the label onto the polka dot fabric. Press under the edges of the polka dot fabric. Position in the bottom right hand corner of the linen and stitch in place through all layers. Package together with some natural soap and body products. The Zakka Face Washer is the second part of our face washer challenge series of projects, where a set of plain white face washers are transformed to become some small gift items. You can see the other posts from the challenge here. You are too sweet Karen! What gorgeous fabric. Love zakka style. Great little gift. Thanks for sharing. Thanks Carina – I bought the fabric last year in Japan – they have the best printed linens. This project is so lovely! Good job! Oh I would love to use a face washer like that. So pretty! What an absolutely beautiful face washer – well done! These are so cute and I want to make a few for our future Granddaughter. My question is this, when you wash these after they have been used does the fabric still lay nice and flat, or does it get a little wonky like? (make sence?) I am wondering if I should tack it down in the center of the two pieces to maintain its placement after the washer and dryer. Thank~You and Happy New Year!! If you want to prevent the fabric from going “wonky” you should pre-wash it and the face washer separately before assembling it. Mine still lay flat (I do iron them after laundering them). Some extra stitching should also help.